A highly active concentrate water-based blend of d-limonene, surfactants, and polar solvents. 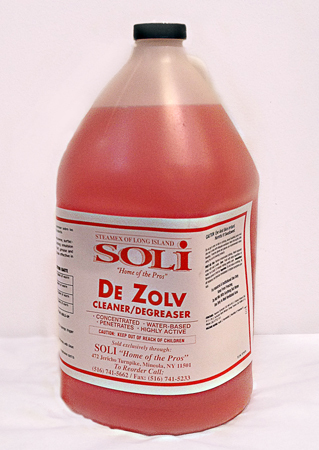 De Zolv provides a long-lasting emulsion which is effective for deep penetration and removal of dirt, grease, and grime on a wide variety of surfaces. This formulation is also effective in grease traps.